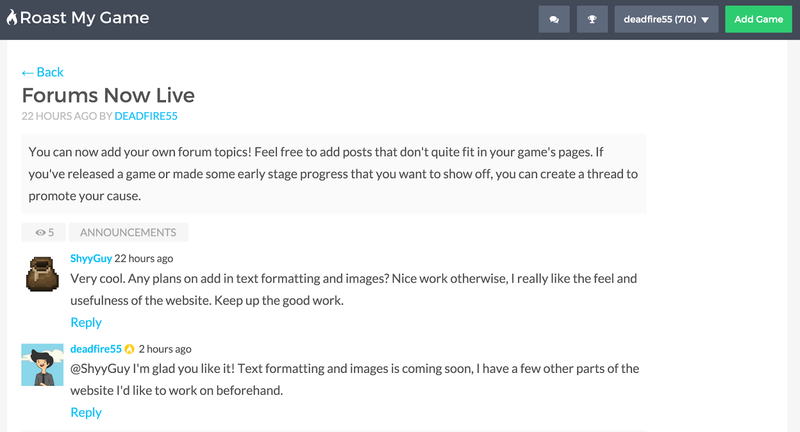 You can create posts announcing your game release or if you are looking for developers or artists, or anything else you'd like to inform the Roast My Game community about. 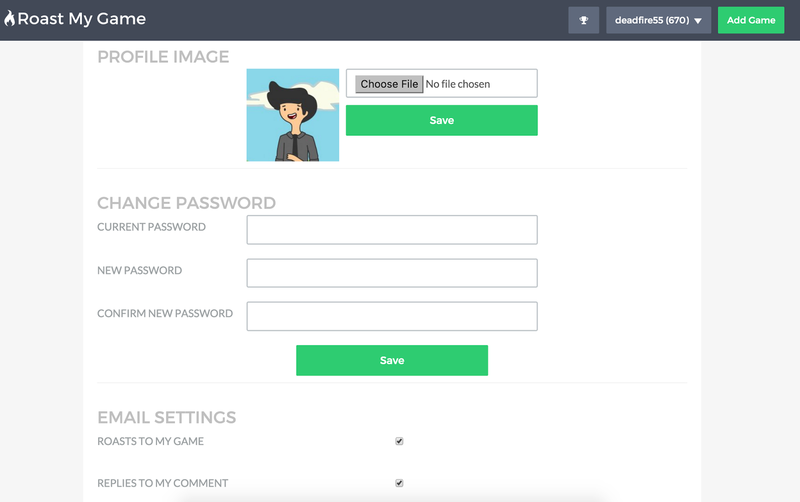 This page allows you to add a profile image, change your password, and change email preferences. 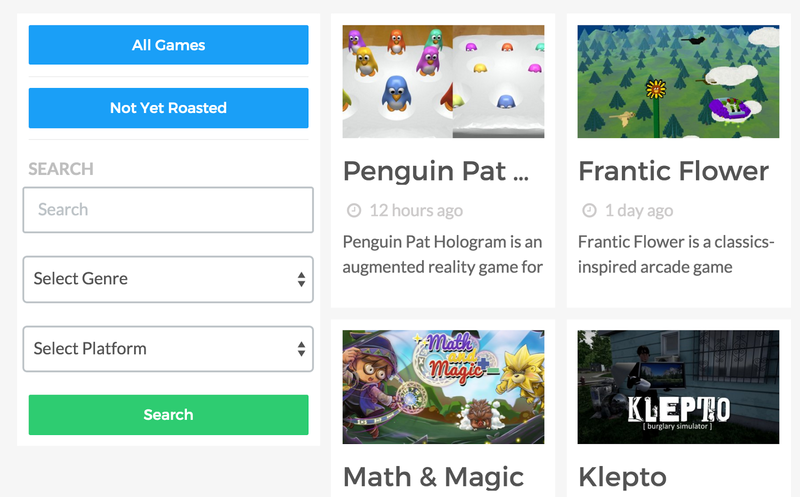 One of the most requested features is now live on the site! You can now edit game posts by clicking the Edit Game button on your profile page. In the past week, the site has completely blown up! 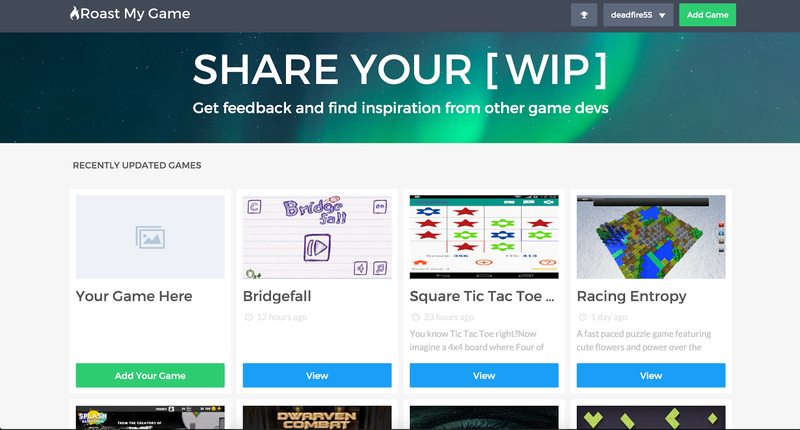 After a successful post on Reddit's /r/gamedev, traffic has soared. One of my initial concerns was that users would not like the requirement of adding comments to other games before posting their own. This turned out not to be a problem. Currently there are 100 comments, making a average of ~2 comments per game. Some users event have up to 10 comments! 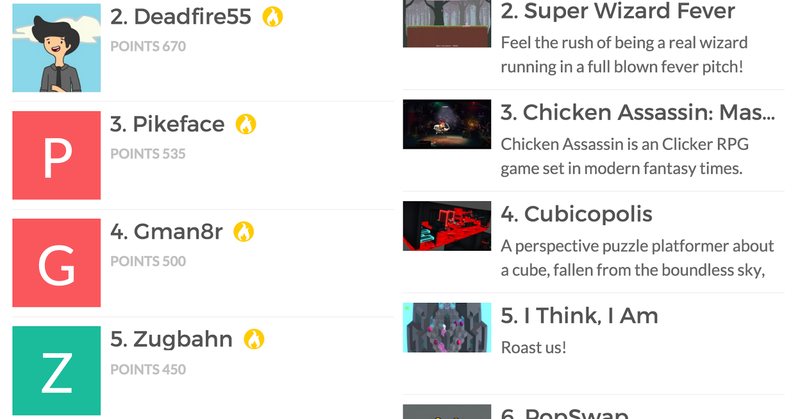 - Added leaderboards (can be found here) to recognize well performing games and users. (Though there appears to be a bug with it right now). - Increased the number of description lines on the home page to 2. This was a highly requested feature by users on the Reddit thread. - Many visual changes, especially related to Safari, Firefox, and mobile browsers. - Public profiles should be finished by tomorrow. 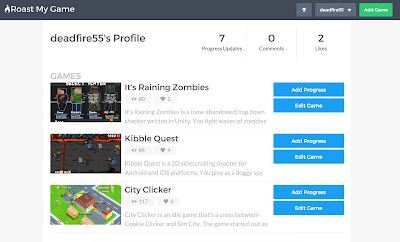 Users will be able to click on another user's profile to view their games, comments, and likes. Update: this is finished. 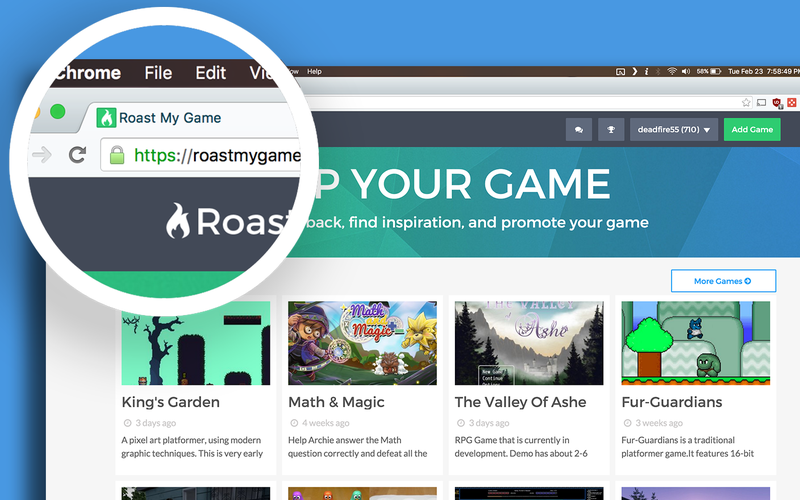 You can now view any other user's public profile by clicking on their username anywhere on the site. 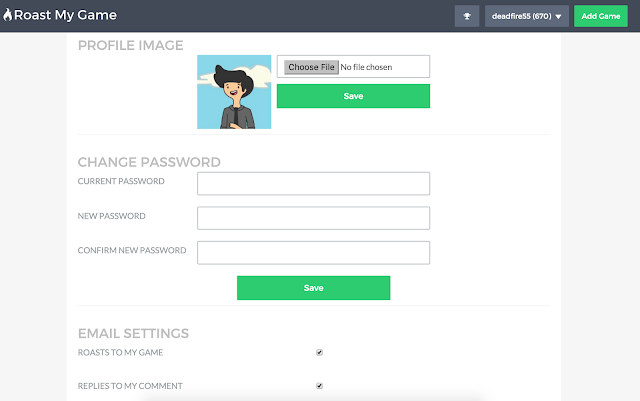 - User preferences, including ability to change passwords. 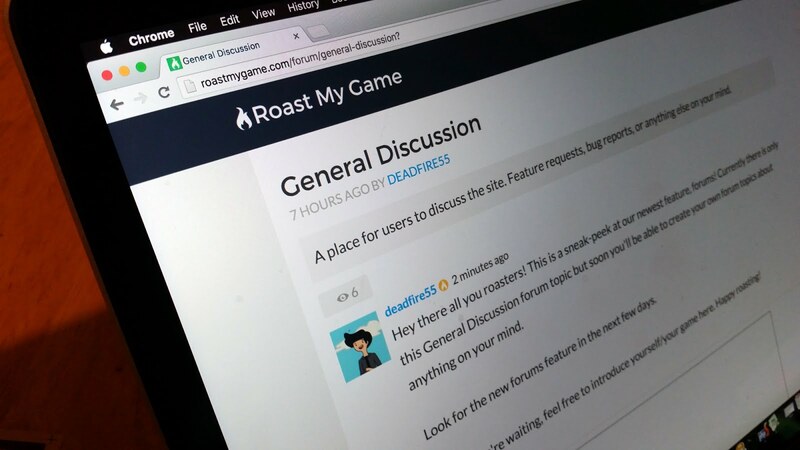 There's still lots of work to be done on Roast My Game. So far, users seem excited with the idea of the website. Here are the next items I'd like to work roughly in order of importance. Require users to post feedback on 2 other games before adding their own game (thanks to /u/Va11ar for the idea). Update: this feature is completed. Users are now required to make atleast one comment on a game before adding their own game. 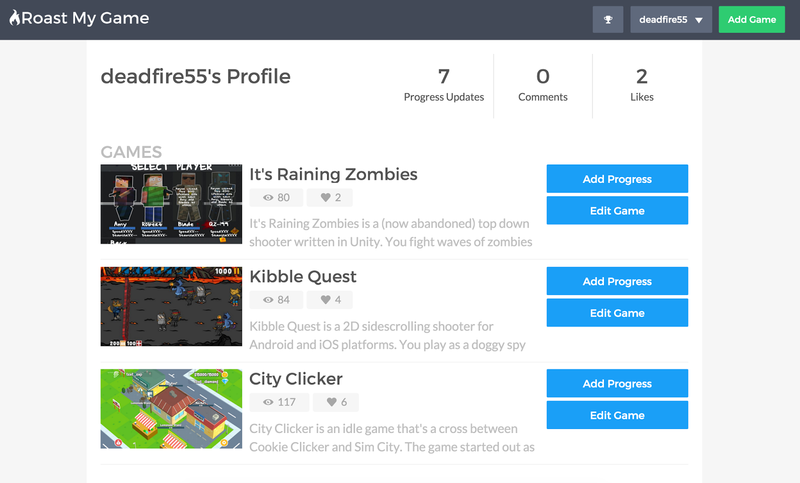 Public profile pages where other users can see your games, comments, likes. 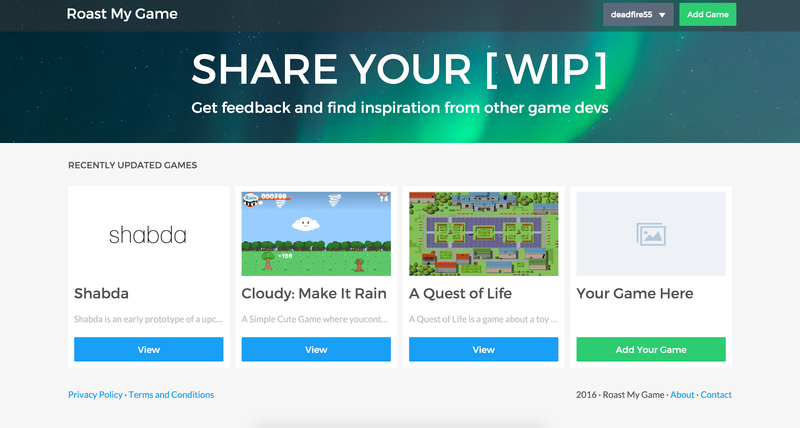 The site allows game developers to gain feedback on games they are working on and get inspiration from other game devs working towards the same goal. As of now, only the minimum required features have been implemented.